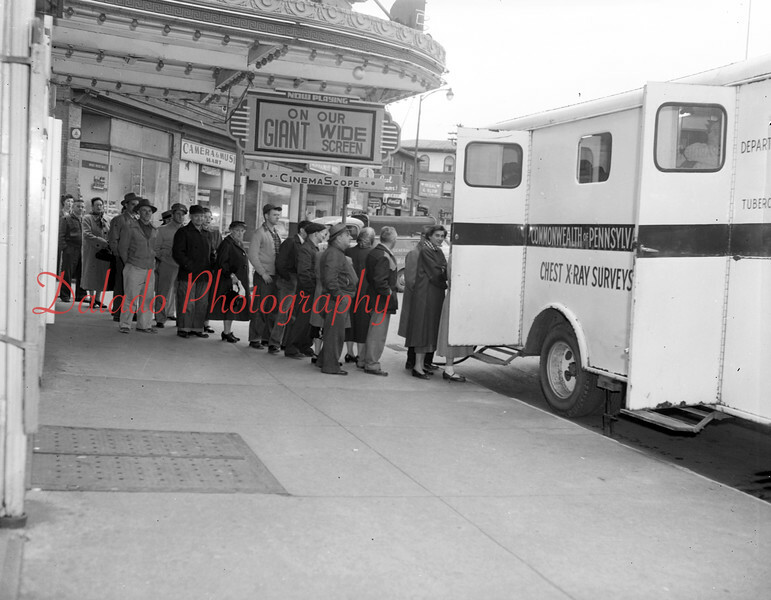 (April 1955) In line for X-Ray examination are these people who were among 770 local residents receiving the test as the mobile unit was stationed in front of the Victoria Theater. The day before, 480 high school students submitted to the X-Rays. In the two-day program, 1,964 received the examination.